Numerous artists have presented their own flavor of art in front of the world. Each has something unique and subtle about it. Not a single piece of art matches with the other, all are different and distinctive in its own style. Some arts are worth to watch for several times and it persuades you to figure out the multi-dimensional meaning in the picture. In this list, we are presenting to you the top ten Paintings that you will see for several times. These paintings have been made to be different and interesting. See this also 3D Paintings. 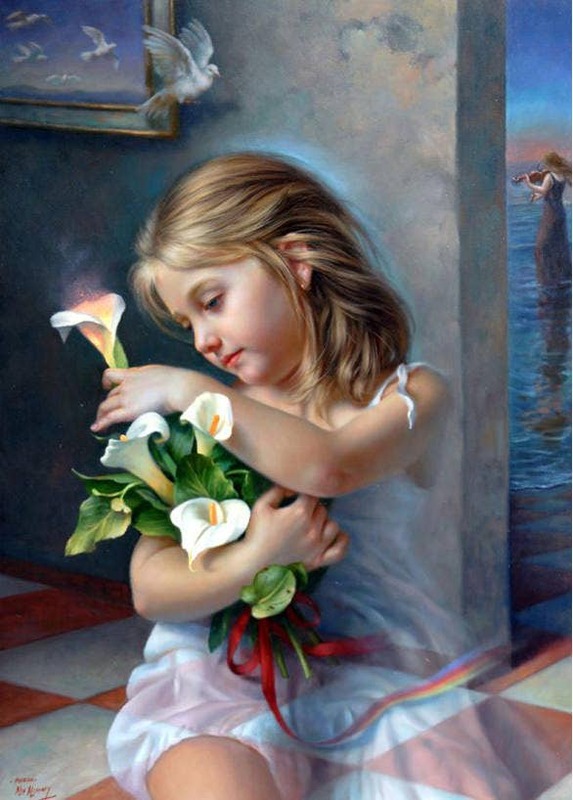 This painting is of a little girls holding a bouquet of flowers and looking at them lovingly. 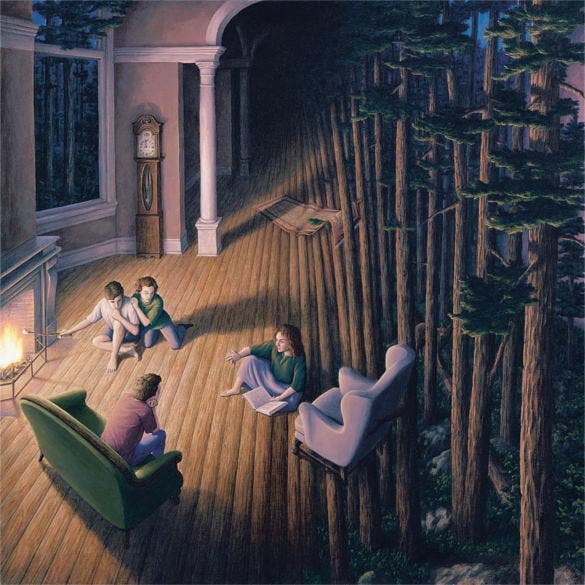 The painting is so surreal; you can see it over and over again. The artist tried to give a feeling of double exposure in the painting. 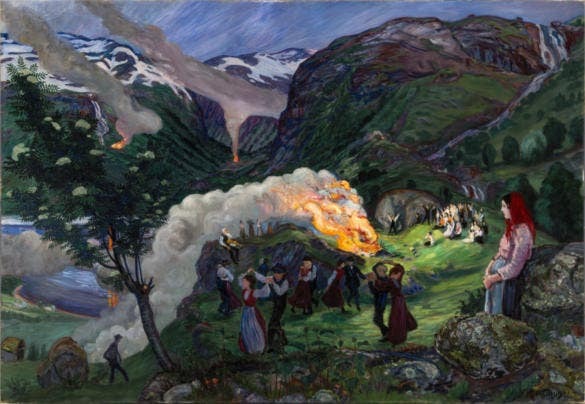 This is a painting of village folks of Norway having a gathering and dancing. This wide open landscape is quite impressive. This would make for a very good poster. You can download or print this template. 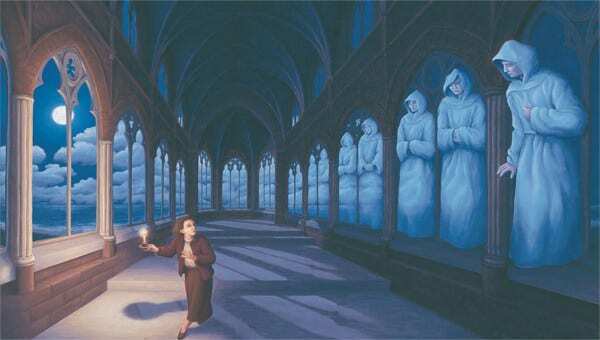 This is a painting which is full of illusion. 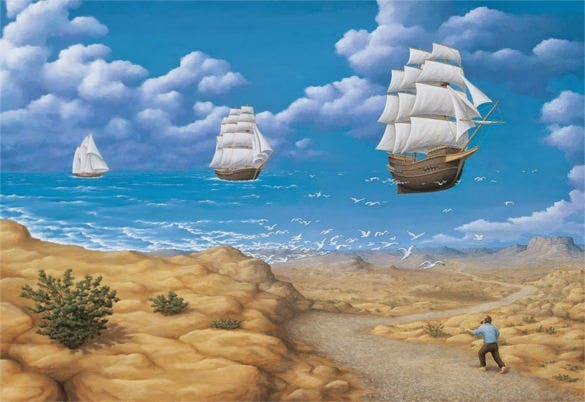 On first glance it would look like a monument with lots of arches, but when you focus, you can also see this painting as a number of ships with their sail up and billowing in the wind. 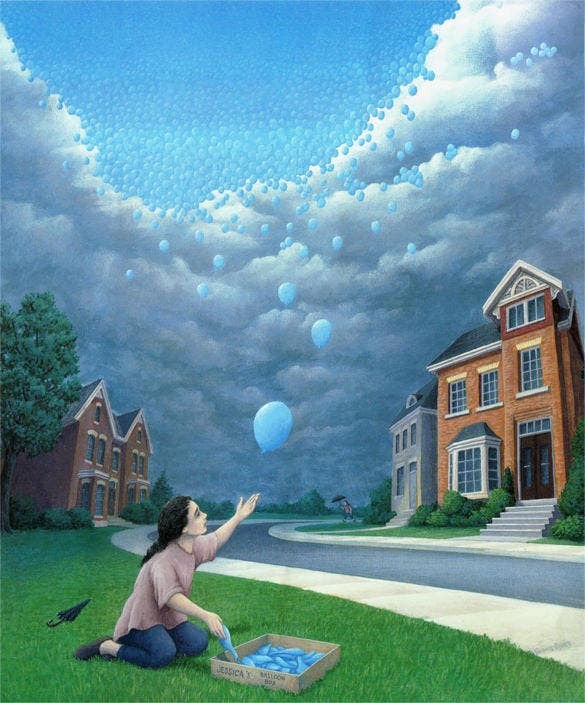 This painting is called magical because it can be seen two ways. 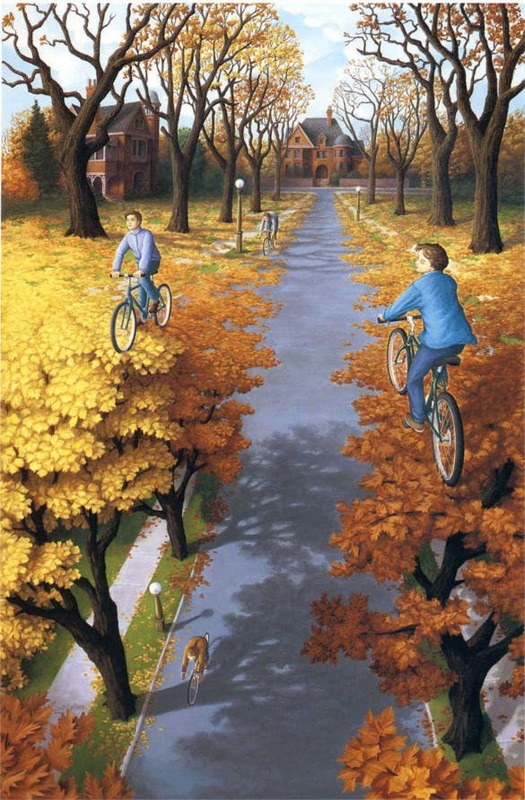 The top half can be seen as a road where leaves have fallen and three children are riding their bikes where as if you see the entire picture, it would appear as if the children are riding the bike on the top of a tree. This is a very well thought out painting. 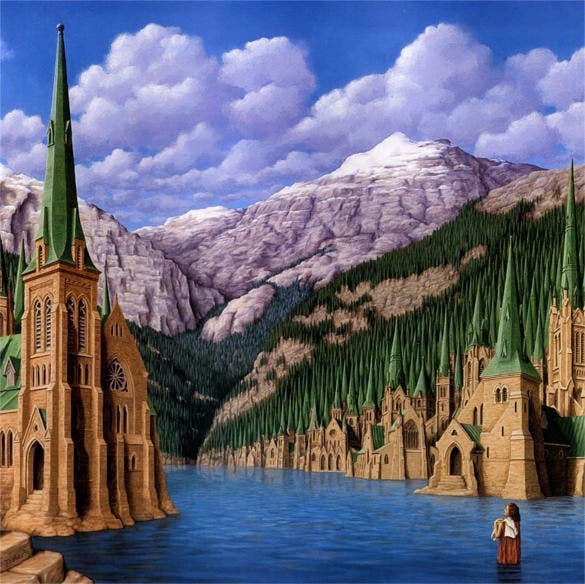 In this painting, it is shown that water is falling from the top in between two monuments and as soon as it reaches the ground, the water morphs into human beings. This is a painting which looks quite magical. 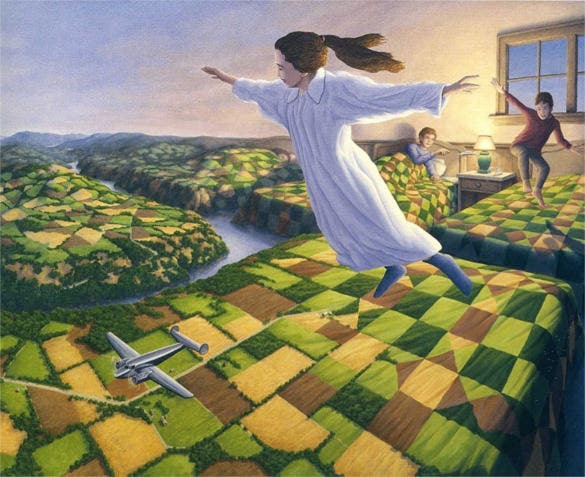 The painting can be seen as a bedroom where two children are playing and it can also be seen as a landscape where the bedcover become the ground. 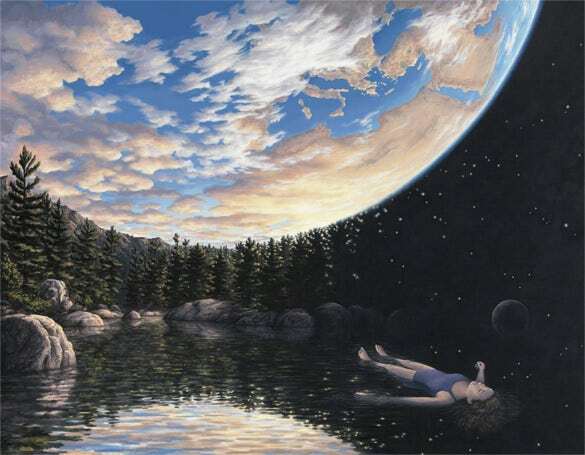 This painting uses illusion to make it look so beautiful. This painting is dreamlike. At first glance it will look like a landscape with the sky and a girl floating in the water. If you look again, the sky might look like a planet and the girl floating in the space. 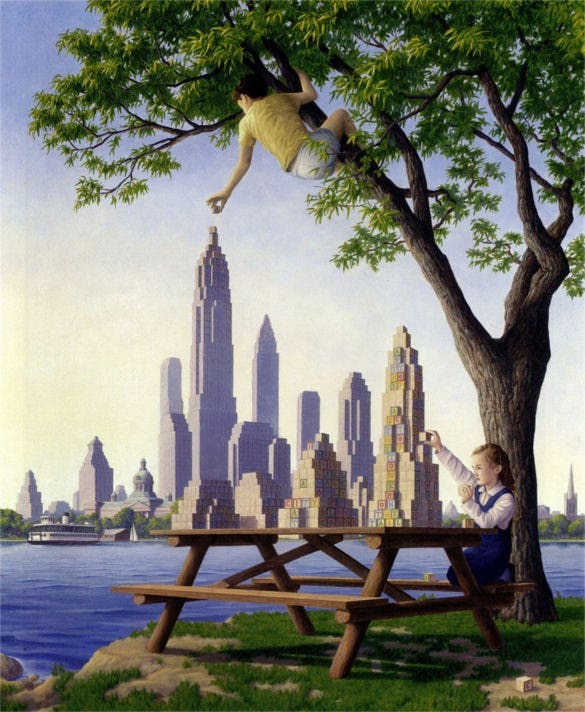 This is a beautiful painting where two children are shown to be erecting building with blocks. The painting is beautiful. You can use it as a wall hanging as well. Just download or print this template. 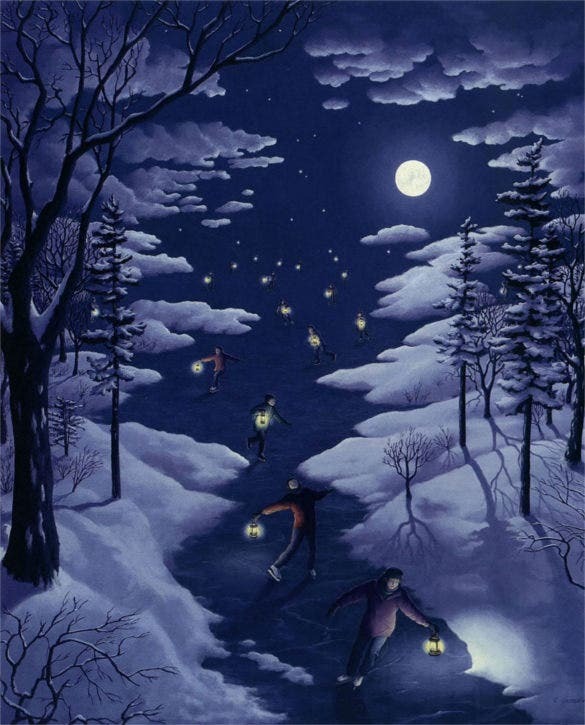 This is a beautiful painting where people are holding lanterns but as we go further up, the lanterns then look like stars. This painting is so magical and enchanted that you would keep looking at it again and again. 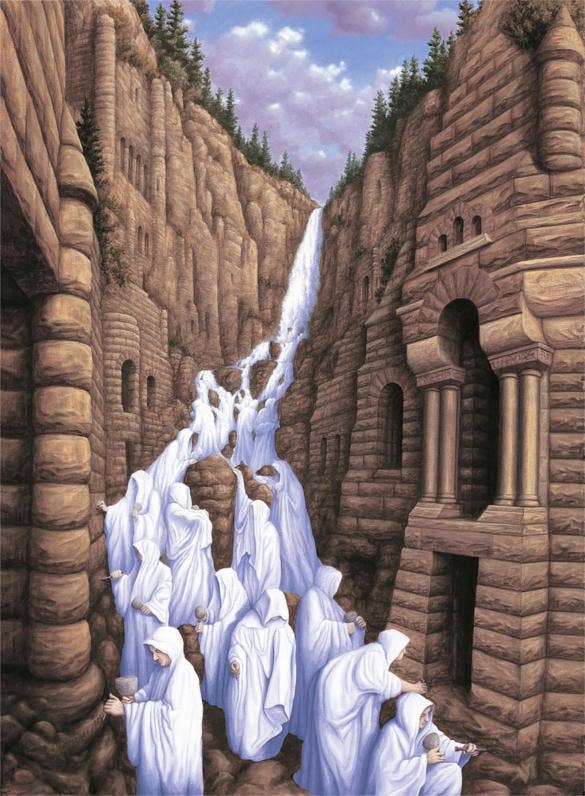 This painting looks quite illusory. It is a beautiful landscape of a building and trees in a snowy night where the ground is covered with snow. 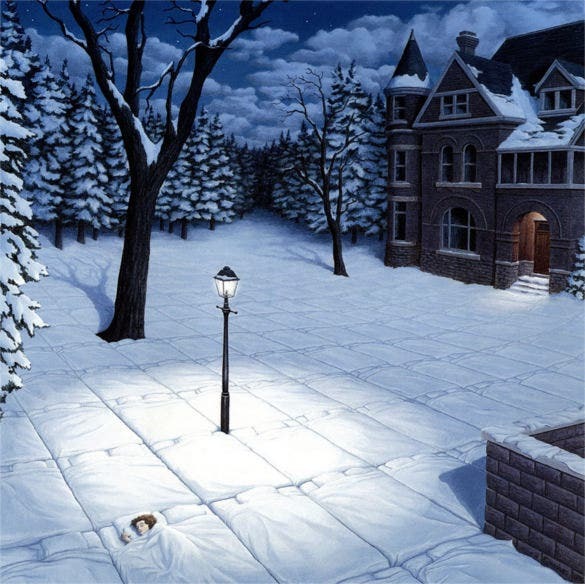 The artist has drawn the snow covered ground to look like white beds where a little girl is sleeping. 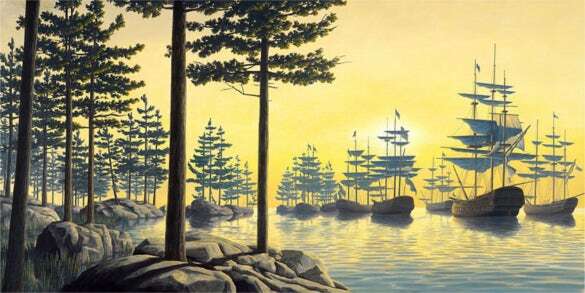 This is a gorgeous landscape painting where the trees are made to look like boats with their sails up and billowing in the wind. This painting is so beautiful. You can either download or print it. 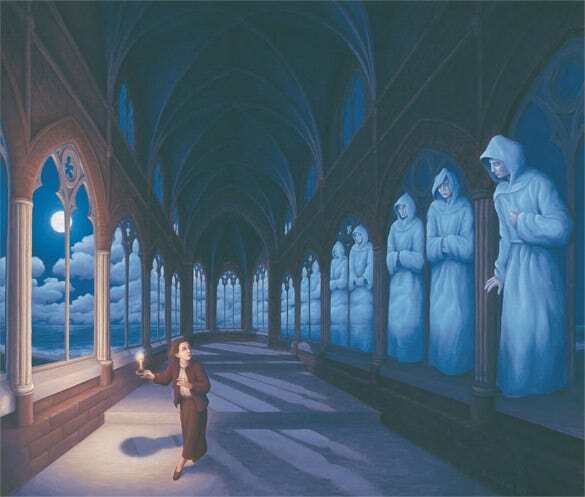 This is a mystical painting where the artist has portrayed the clouds to look like white statues. 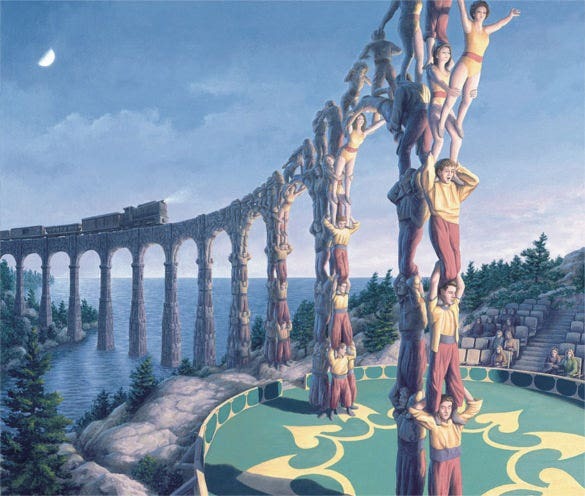 This is a very well thought out painting. The artist has painted this beautifully. It looks so surreal and so magical. This is an amazing painting. The trees and the clouds are casting a reflection in this painting. 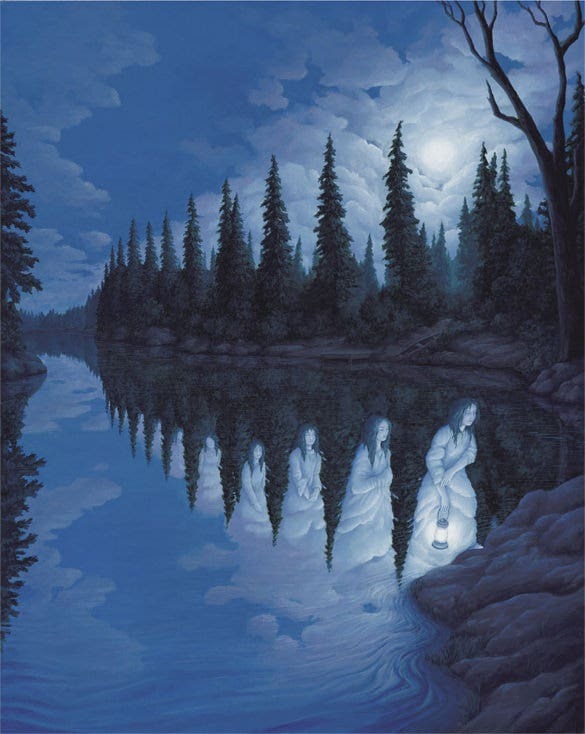 The reflection of the clouds is drawn as women surfacing out of the water one by one. 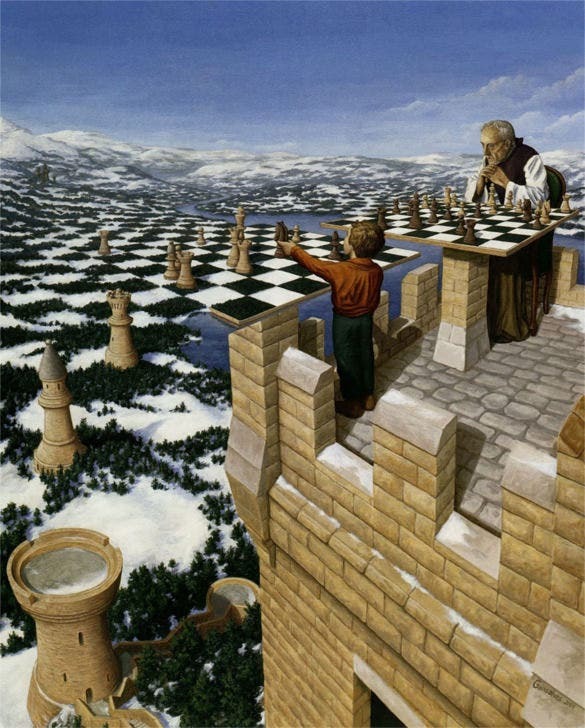 This is a beautiful painting where two kids are shown to be creating a jigsaw puzzle. 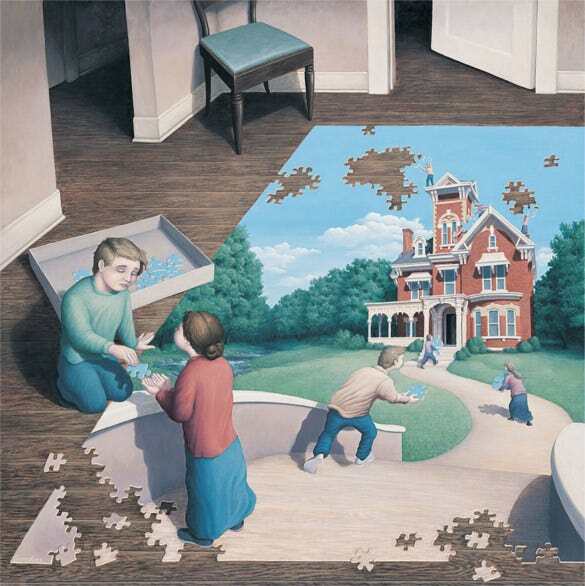 The puzzle is of a landscape where two kids are playing in front of a large house. This is a mesmerising painting. In this painting, the artist has painted the sky in such a way that it also looks like sea. When we perceive it as sea, we can see the ships on the sea and when we perceive it as sky, we feel as if the ships are flying with the birds. The above paintings are very different and very interesting to see. 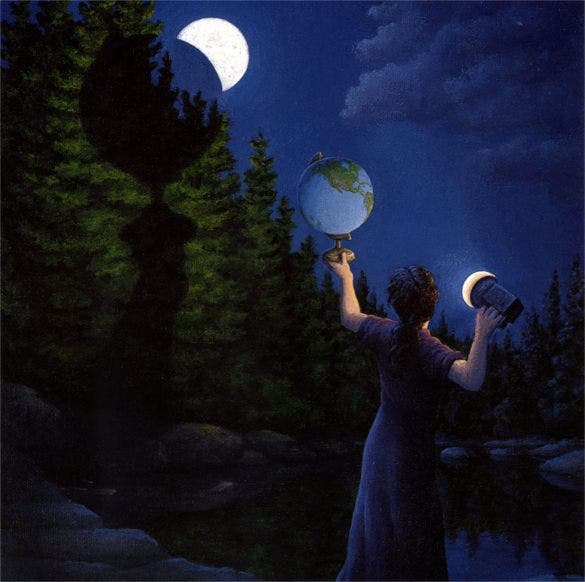 The artist has drawn the paintings in such a way that one painting can be seen in two entirely different types. You can use these mesmerising paintings as a wall hanging or as a poster or just for inspiration.